Africa is now a bigger mobile phone market than Latin America or USA, and in next few years will surpass Europe. iTel was the biggest mobile brand in Africa for the period, beating back Samsung to 2nd place, with TECNO, Nokia and Huawei taking 3rd, 4th and 5th places respectively. Samsung remained the largest smartphone brand on the continent, with Huawei in 2nd place, and TECNO in 3rd. 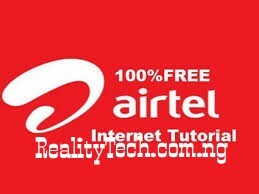 The feature phone market was owned by iTel, TECNO and Nokia, in that order. Transsion Holdings’ brands – iTel, TECNO and Infinix Mobility – all together held 34% of the overall mobile phone market. Africa’s smartphone penetration is still at 22% – the lowest among major regions and countries. Smartphone demand in Nigeria dropped by 19% due to the high inflationary climate caused by significant currency devaluation since June 2016. 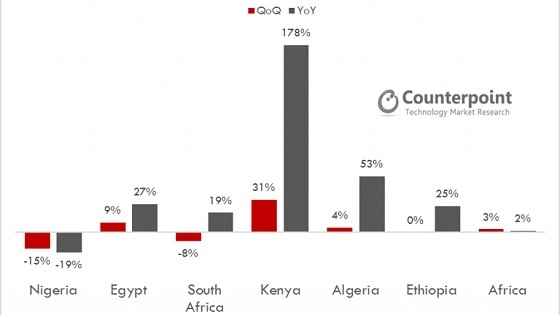 Other smaller markets such as Kenya, Algeria, Ethiopia, Egypt, South Africa and many other smaller African countries experienced growth in smartphone shipments. One in three smartphones shipped in Africa is LTE capable. The Q3 2016 report by CounterPoint Research affirms what has been obvious to everyone who has cared to observe the market: feature phones still dominate the African mobile landscape. While iTel’s smartphones may not be the rave, the brand sells truckloads of feature phones. Because of this, it was able to surpass Samsung for the first time to capture 20% of the total mobile phone shipments to become the biggest mobile brand in Africa. It is important to note too that the report says smartphone shipment in Nigeria shrunk. By 19%. That is huge. The saving grace would be the huge fairly used smartphone market in the country. Still, one might have to eventually review that 2016 smartphone penetration figure for Nigeria. Like it or hate it, there is lot of buzz around Nokia at this time as Nokia-branded smartphones make a return to the market. With feature phones still giving Nokia a strong hold on the continent, perhaps the brand can pull off a rebound in smartphones.